Front Row Seats to breathtaking Dunk and Bedarra Island views! Designed for a life of luxury, space and privacy, this modern home captures all the stunning beauty of the Tropics for you to enjoy. TALI is a blend of casual sophistication and simplicity. Elegantly decorated with exotic Asian furnishings, expansive living areas spill out onto covered verandahs with spectacular ocean views. Big enough for the whole family to enjoy. 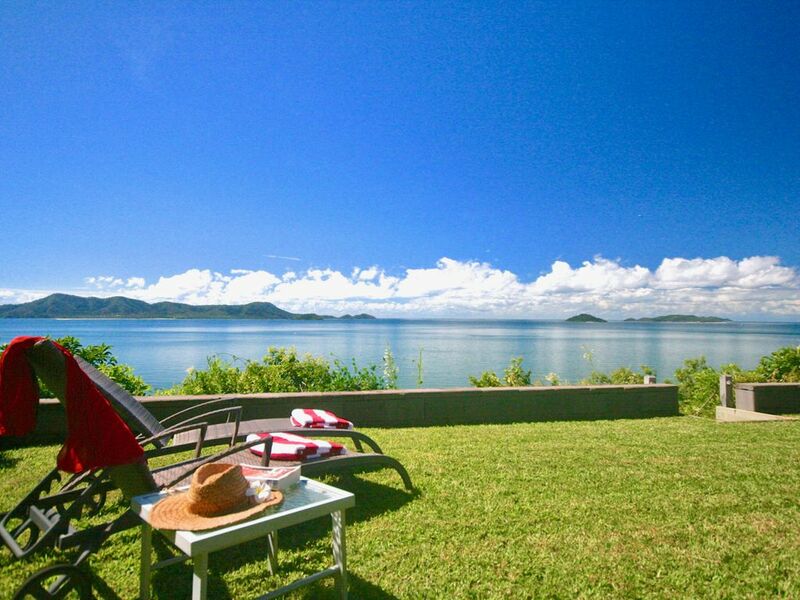 Complete this perfect picture with a pool that captures the breathtaking island panorama as eagles fly by. Discover the hidden paradise that is Mission Beach - an unspoilt beautiful, relaxed, unique location. Australia's best kept secret! The combination of lush rainforest, rich wildlife including the famous endangered Cassowaries, golden beaches and a family of nearby tropical Islands is a rarity. Enjoy village restaurants and shops, weekend markets, a water taxi tour around Dunk Island and picnic lunch on white sands in Bedarra island, tours to the Great Barrier Reef, fishing tours, bush walk through old rainforests, white water rafting, sky diving, jet skiing and even kayaking to Dunk. Tali has private steps down to the beach. Fantastic home, furniture and all contents with great pool and superb view. Highly recommend this property. WOW great house, extra large living areas and bedrooms. Beautiful furnishings, tasteful and comfortable. Mezmerising island views, total privacy. A dream holiday. We’ll be back.